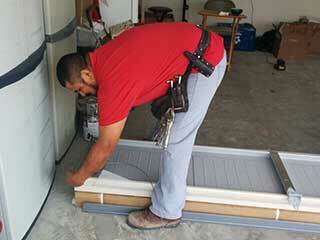 Garage door repair is no easy task, especially for the common person who doesn’t have formal training. Experts are familiar with every scenario under the sun, having encountered many problems on their journey as a professional. Most homeowners don’t pay much attention to their doors until something goes wrong, which is when it can end up costing more money to fix. If you notice problems with your door, you should call an expert immediately. As previously mentioned, these are jobs that should be handled by someone with the prerequisite skills, otherwise it’s a potentially dangerous task. Even when nothing goes wrong, you should consider getting an inspection twice yearly, especially if you use it often. But why exactly should you call a professional for door repair? Read on to find out. Professional technicians can spot an issue before it gets worse. They can perform regular maintenance which will prevent you from having to spend more money later if you have to replace a part entirely. Though replacement is an inevitably, they can at least offset this outcome for as long as possible, using their expert eye to spot issues that need to be tackled immediately. This will save you money, and more importantly, save you time you could spend on other valuable activities. Garage doors are heavy objects, sometimes weighing over 400lbs! If you’re dealing with something of this weight, can you imagine dropping it on your foot? What’s even crazier is the amount of force each spring contains to lift these doors. It’s certainly enough to take a finger off! Without the right tools, and knowledge of what you’re doing, you can put yourself at risk. Fortunately, with professional help you can avoid this. Fixing a garage door is inconvenient for you, but convenient for an expert! Taking the time out to get the right tools and attend to issues is difficult, and it could take you weeks to figure out the problem, let alone fix it! A professional can diagnose issues quickly, and implement solutions that put your mind at ease. You won’t have to worry about waiting weeks, and can have your garage door fixed in no time.